Home > Unlabelled > Free CPD at the RM Seminars – Autumn 2017 – Book your free place now! 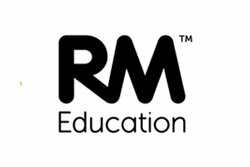 Free CPD at the RM Seminars – Autumn 2017 – Book your free place now! Please join us 2nd – 29th November at 11 locations across the UK. We’ve got a great line up of speakers including Google Certified Educators, Online Safety experts and our very own RM experts. Places are FREE but limited, so what are you waiting for?! Book your place today at www.rm.com/seminars!